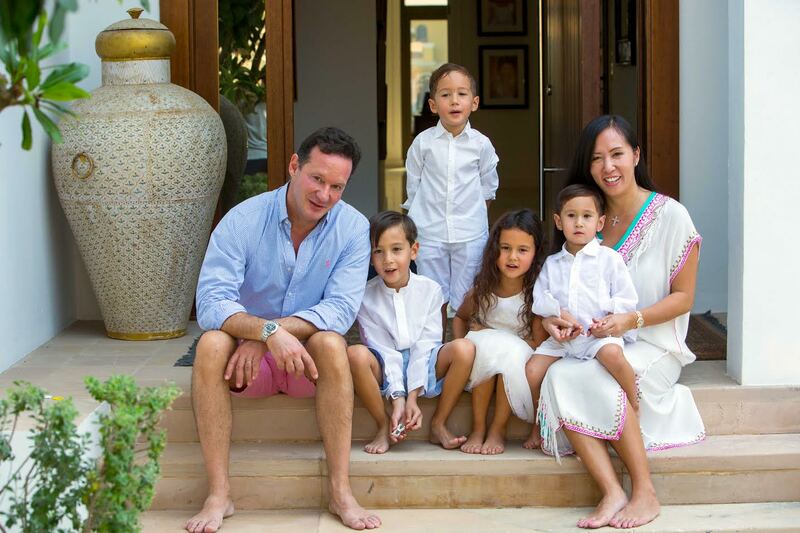 Edwina Viel is an investment banker turned award winning blogger who lives in Dubai with her husband, Maurizio Viel, and her four children, Luca, Sofia, Lorenzo and Leonardo. Edwina’s blog, Seashells on the Palm, documents life as a mother in the UAE and provides a source of information and support for other expat Mums. Edwina’s blog is a little creativity space as children and family life consume her life nowadays and she is passionate about finding ways to raise and educate her children. Since her school days, she been able to reignite her love for photography in the digital age, and the blog has given her huge amounts of freedom to take more photos again. This has given her much joy, covering a large variety of lifestyle topics, discovering the best healthy foods and travel for families. She has been recognized by Stylist Arabia and was voted as the most influential Parent Blogger 2016. I heard about it in London when I delivered my first son at the Lindo Wing, St Mary’s Paddington. My husband is a plastic surgeon, and being a doctor, he was aware of the importance of stem cells. That was 10 years ago and since then it has become more evident with the research that many children with various illnesses are being treated. Family members are also benefitting too. We didn’t bank them with our first, but we did for our other three children with CryoSave Arabia. How has your life changed since having your child? My life has changed completely. It has often hard to describe that I almost don’t recognise the person that I was before children. It is extremely fulfilling and challenging at the same time. You love your children so much but there is also a part of you that will always feel exhausted mentally and physically and yet you find the resilience to keep going every day to give the very best to them. It is a very empowering feeling to find that level of resistance that mothers have. I just wish I knew about it before having children because imagine what we could all achieve with the free time that we wasted. I have 4 children aged 9, 7,5 and 3. There are three boys and girl. My girl is the second child. It is amazing to see what affects the children’s development. They may have the same parents and genes but each one has a unique character. I have loved every stage of their development. When they were babies they were so cute and cuddly. They are still cuddly now, but I love the conversations we have at home, the debates, and we have more freedom to be adventurous now. It’s hard to give advice to a first-time mum – I think sometimes they are overwhelmed with information. We all have our own perceptions of parenthood and what is best. There are always too many trends on how to raise your babies. I say, don’t get too caught up with who the latest baby guru is, use your instincts as a mother too – I was probably guilty of that. It is also ok to have bad days because not every moment is magical, but you can then get up the next day and start it all over again. Finally, ask for help and advice if you need it. Being a martyr is not great because it can start to feel lonely and exhausting. Yes, a few friends have chosen to also bank stem cells. We think it is an amazing investment for the family.